Imagine waking up to a view of the renowned Pitons, to waves crashing on the white sands of Sugar Beach and the realisation that you’re in paradise, where the coconuts are fresh and the glistening waters are calling your name. 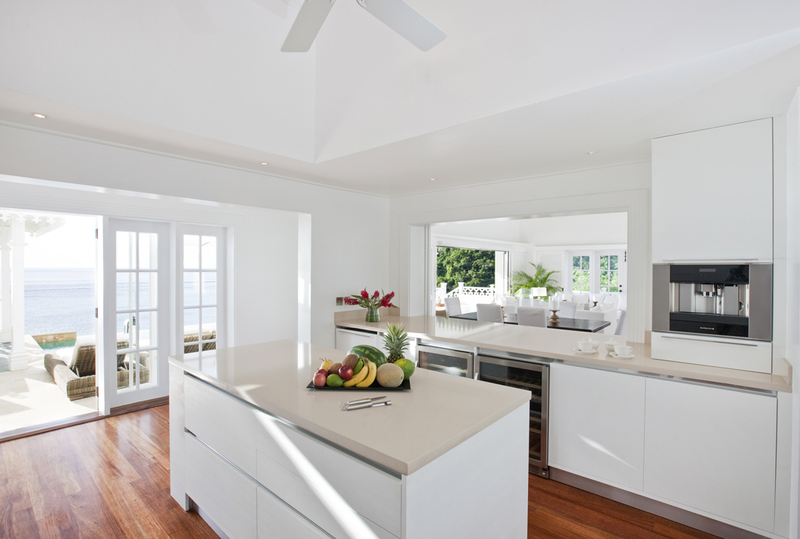 As you begin your day, you can do it in style at Villa Pitons Bay. This two bedroom villa is located in the Sugar Beach Resort, and boasts incredible ocean views. This luxury resort is the perfect place to stay if you’re seeking a holiday that offers endless luxury and a relaxing respite from everyday life. This one-story villa features a master suite and a second bedroom, it can accommodate up to four guests. It offers all of the luxuries of a five-star hotel, with the benefits of a private villa. It’s the ideal home away from home. Every little luxury has been considered in the rooms, from turndown service and silky high-thread-count Egyptian cotton linens and romantic voile draping to large bathrooms with walk-in shower, magnified mirror and blow dryer and full-sized ROIL and Natura Bisse bath amenities. You can wander around your villa in luxury bathrobes and slippers, sipping on a fresh Nespresso from the machine. The living room is spacious and open, with enough seating for everyone to gather around at the end of the night reminiscing over the day, or to settle in for movie night in the large flat screen television. There are plenty of other small touches that make the villa more homely, like the washer and dryer and the in-room iPad’s with a docking station. Of course, there are luxuries you may not have at home, like air conditioning, a mini bar and a personalised butler service - there to make every wish come true. This villa has a beautiful, private outdoor spot with a private patio, infinity-edge pool and a walled garden. 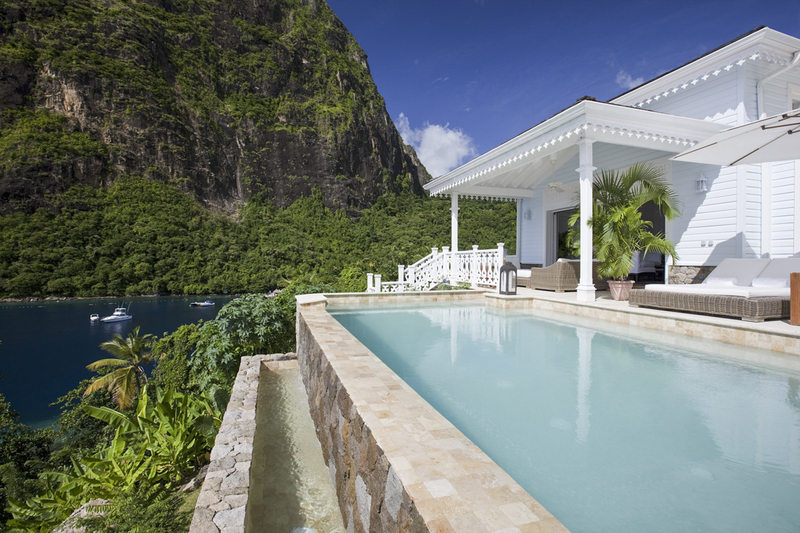 There’s even views of the Pitons and the Caribbean Sea for you to enjoy. There’s no better place for your morning coffee or your evening vino. 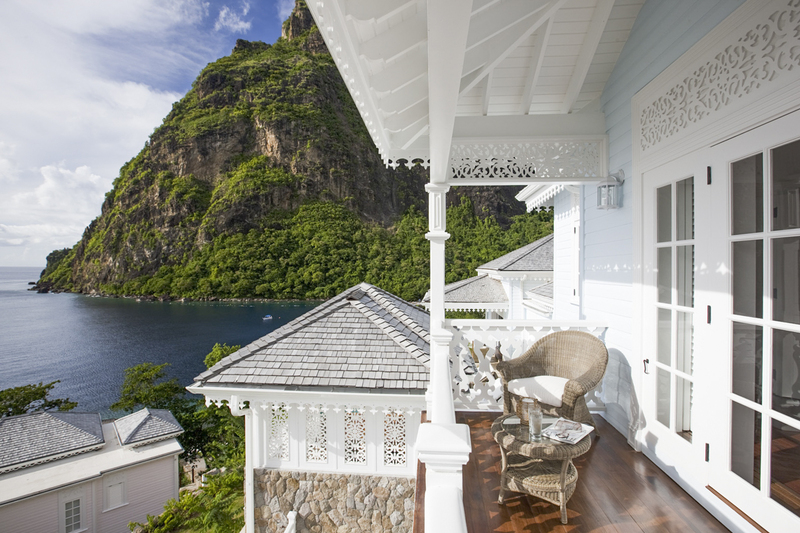 Hop on a plane and wake up in paradise, also known as St Lucia. This island has been blessed by nature, with stunning geographic sites that boast breathtaking beauty. A lot of the beauty of the island has remained unspoilt, and it is a down-to-earth place even though it is dotted with countless small and luxurious resorts. Of course, one of the main reasons to visit St Lucia is the stunning beaches. There are, however, few white sand beaches with most offering a mix of orange and striking black, with only a few rare exceptions. If you’re seeking a white-sand beach, head to the man made beach, Anse des Pitons where the pristine sand is regularly imported - this is also the beach frequented by guest of Sugar Beach, a Viceroy Resort.. There is more to St Lucia’s natural beauty than beaches, the island has many lush, tropical landscapes worth exploring. Must-visits are the 19,000-acre National Rain Forest, the Diamond Botanical Gardens, Pigeon Island, and the Sault Falls. The island is broken up into two key areas; the North that offers lazy days and modern comforts and The South, which boasts old plantations hidden beaches and geological wonders - including the Pitons, two mountainous volcanic plugs and spires. This villa is located in the luxury St Lucia resort and hotel, which is one of the most refined beachfront home away from home in the world. 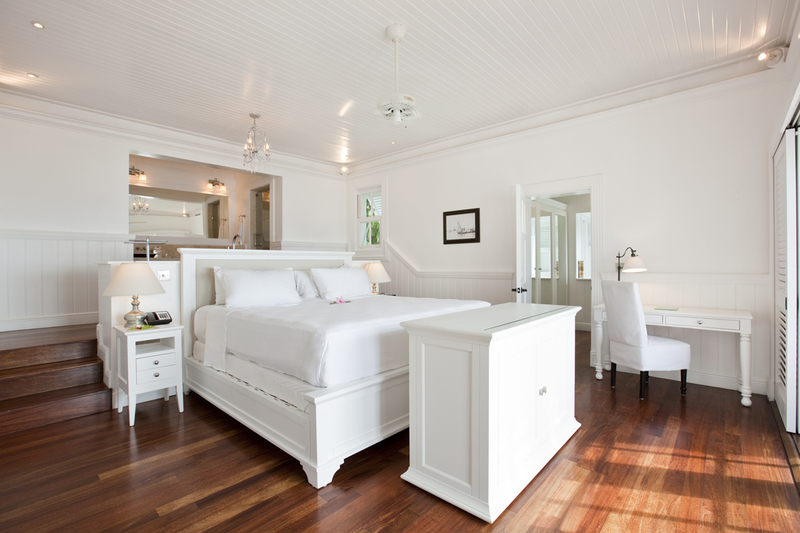 It is set within over 100 acres of lush rainforest on the site of a sugar plantation from the 18th century. The UNESCO World Heritage-listed Pitons are on your doorstep. The grounds of the resort usher down to Sugar Beach, one of the rare white sand beaches that leads into the glistening Caribbean Sea. You will be spoilt for choice staying at this villa, thanks to the resorts incredible offerings. There are three restaurant offerings on-site: The Great Room, which is perfect for discerning diners; The Terrace Restaurant, which is ideal for slightly more laid-back dining and Bayside Restaurant, which is perfect for enjoying Caribbean delicacies. There are also three bars and lounges: Bayside Bar in St Lucia, Cane Bar and The Palm Court Bar and Lounge, so you can wander down from your villa for cocktail and fresh local specialties. Of course, there may be nights you don’t want to leave your villa, so you can order room service or you can take private dining to a new level with a beach service dinner for two. As if the dining options were not enough, there’s also plenty to keep you entertained. Spend your days at The Rainforest Spa, with specialty treatments sure to help you relax into your holiday like never before. You can also feel zen thanks to the yoga and pilates classes. There’s also complimentary watersports for those seeking something a little more exciting, from windsurfing and sailing to kayaking and Hobie Cats.